Can Search Engine Results Sway The Political Vote? 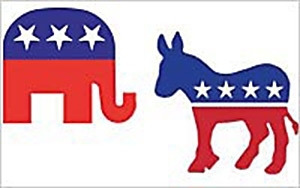 The results of a study by Robert Epstein and Ronald Robertson of the American Institute for Behavioral Research and Technology show that voters' preferences can be swayed by 20% or more through manipulating search engine results to favor one candidate over another. They call it the Search Engine Manipulation Effect (SEME). The two believe the effect of manipulation by search engines is a serious threat to the political system. "Rankings can be masked so that people show no awareness of the manipulation," they wrote. "Knowing the proportion of undecided voters in a population who have Internet access, along with the proportion of those voters who can be influenced using SEME, allows one to calculate the win margin below which SEME might be able to determine an election outcome." It's common knowledge among marketers that an item’s position on a list has a powerful and persuasive impact on someone's recollection and evaluation of that item. The research suggests that specific order effects -- such as primacy and recency -- show that the first and last items presented on a list, respectively, are more likely to be recalled than items in the middle. Elections are often won by small vote margins. The researchers note that 50% of U.S. presidential elections were won by vote margins under 7.6%, and 25% of U.S. senatorial elections in 2012 were won by vote margins under 6.0%. "In close elections, undecided voters can make all of the difference, which is why enormous resources are often focused on those voters in the days before the election," the two wrote. "Because search rankings biased toward one candidate can apparently sway the voting preferences of undecided voters without their awareness and, at least under some circumstances, without any possible competition from opposing candidates, SEME appears to be an especially powerful tool for manipulating elections." Researchers suggest that regulations could potentially detect manipulation. In theory, through continually rating pages and monitoring search rankings, it might be possible to identify and track search ranking bias related to elections, although biased rankings would be impossible or nearly impossible for regulators to detect. Happy Holidays to all. See you back here Monday, Dec. 28, 2015.